Yes, you can find it everywhere and always: the American influence on Europeans. Today I saw it in a coffee and sweets shop. 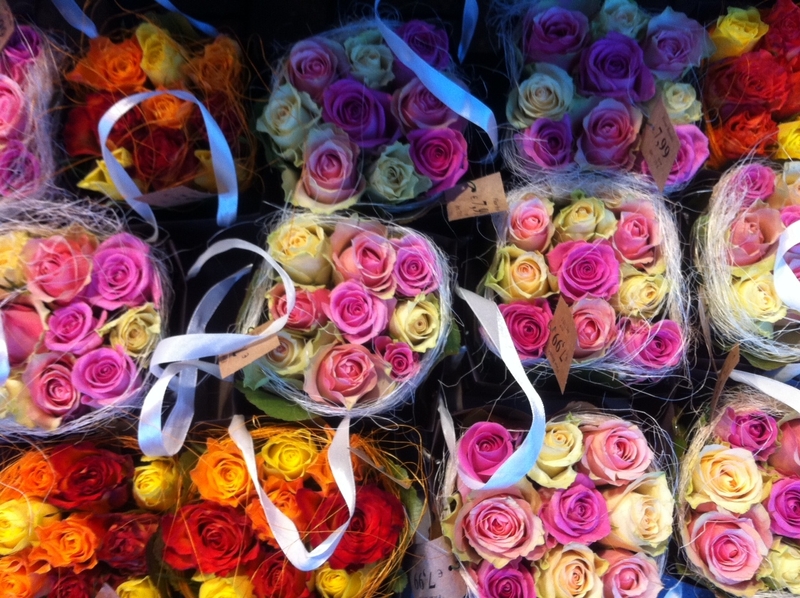 And just next to it: The bunches of roses for Valentine’s Day – so American again!